Our Lady of Mont Carmel Church wedding ceremony in Montecito, California, in Santa Barbara County. 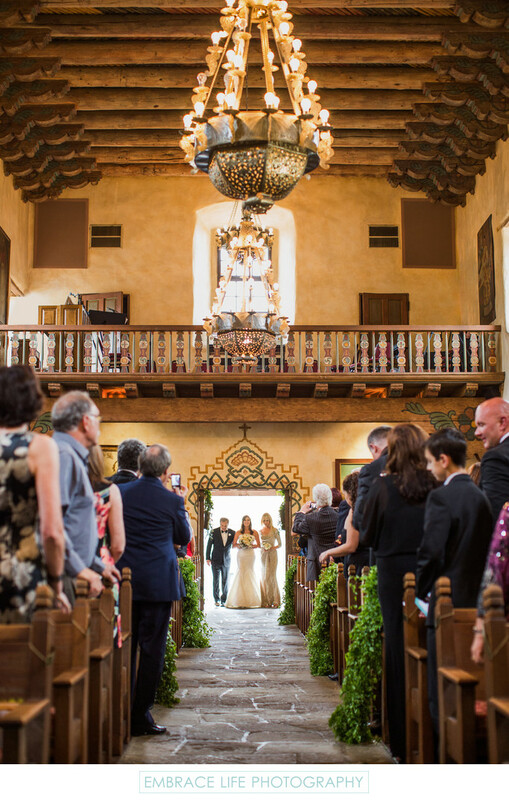 In this photograph, the bride is seen entering the stunning southwestern Spanish style church with her mother and father. The rafters, the balcony and the pews are rich in character as are the incredible iron chandeliers, the stone floor and the historic painted accents. Only the natural, green aisle accents were added to this already gorgeous church. Location: 1300 East Valley Road, Montecito, CA 93108.